If you want to improve your mobility by moving naturally, using practical skills that are actually helpful in real life (instead of just as a “warmup” to your workout) – and you want a complete program that will take you by the hand and show you exactly what to do each day – then you’ve come to the right place. Below, you’ll find a complete Natural Movement Fitness program with eight follow-along practice sessions to help you accomplish this goal. While there are many ways to improve your mobility, we believe that Natural Movement provides some of the best results because it’s practical. These are all movements the human body is designed to perform. Yes, corrective exercises and the various “mobility drills” certainly have their place, but they pale in comparison to what Natural Movement training can provide as a whole. 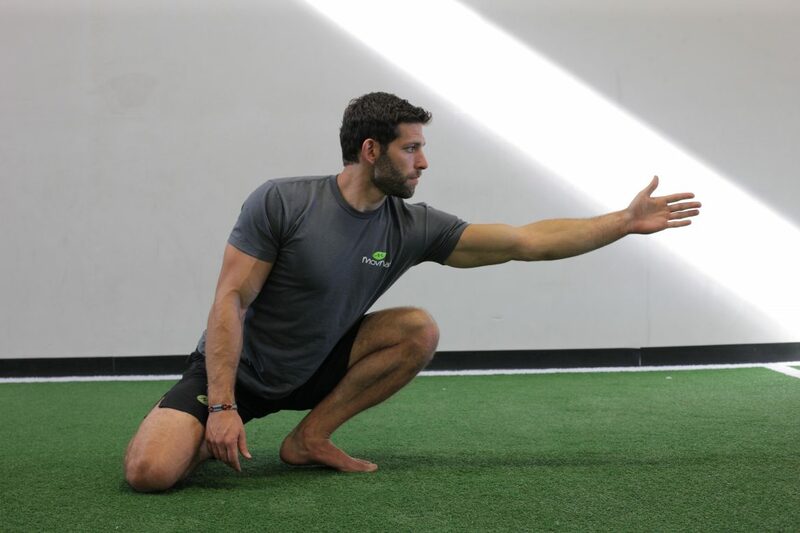 As a result from following this program, you’ll not only improve your mobility, but also your stability, strength, coordination, agility, and awareness (both body and environmental), among other things. Not to mention your skill in various movements that will translate to more real life capability and a higher quality of life – all from one short daily practice session. This is a fun program that will also leave you feeling better than when you started every time you practice, and you should notice results after your very first session. If some of these movements are difficult, listen to your body and ease up if something doesn’t feel right. A little bit of discomfort is okay, but pain is to be avoided. So, if you’re struggling with a particular movement, or if you have a pre-existing condition or a past injury, don’t push through the tension into pain or try to force anything. If necessary, use some of the progressions that are provided in the videos to help you adjust the movements to your fitness level and body type. The following practice sessions only last 10-15 minutes each. The routine serves well as a morning wakeup session, as part of a warmup before your workout, or as a way to wind down after a long day. But you can practice anytime you’d like to get moving and energized. For best results, practice at least 3 times a week. If you follow this program, you’ll be amazed with the results you can achieve in only a matter of weeks. Making this kind of practice a habit will go a long way toward improving your mobility, fitness, movement competency, and quality of life. 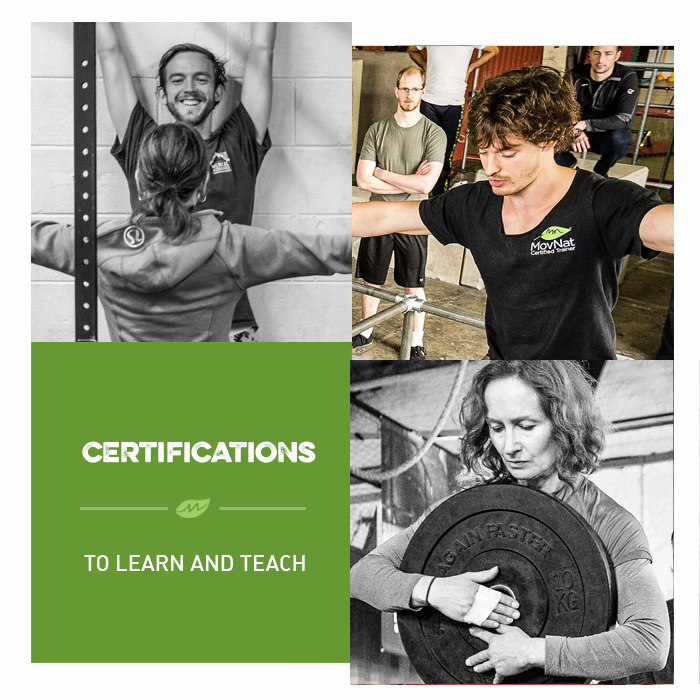 Now, if you’d like to learn more and deepen your natural movement practice, consider attending the MovNat Level 1 Certification or a MovNat Workshop. We hold events all around the world. Or, find a MovNat Certified Trainer or Gym in your area. We also offer MovNat Online Coaching as an alternative to live instruction. Note: This 8-week series was originally filmed by our Performance Director, Danny Clark, for the Whole Life Challenge. I’ve been working on mobility for this stiff body of mine for some time, and I’m constantly seeking the holy grail for unlocking mobility. I know there’s no quick fix, but this program is giving me a glimmer of hope. I look forward to continuing and discovering. Thanks for sharing!